Discovered by Gerald Arthur in 2008, this tree is estimated to be at least 1000 years old and could perhaps be as much as 1500 years or more. The tree appears to be in quite robust general health, although it has lost many major limbs. It still has about four large foliage-bearing branches. Since 2008, it appears to have suffered no further damage despite gales and heavy snowfalls which have damaged many other trees in the general area. 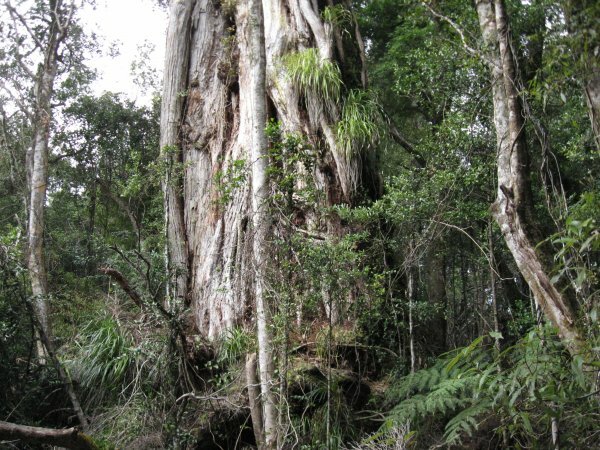 Typical of northern rata it presents as a single trunk but has numerous individual components that fuse or entwine together. 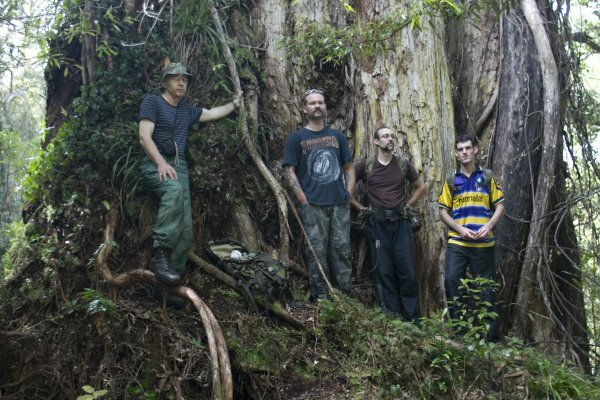 There were challenges in determining the height of the tree as the top foliage was visible from over 100 metres away through a keyhole in the bush. A second sighting of the top was also possible from a closer surveyed position, giving two heighting observations as a check. Best access to the tree is from the Karapoti car park via an old bush tramway which generally follows the course of the Little Akatarawa River. It is about a 2.5 to 3 hour walk in sometimes rough terrain, all in heavy bush. The tree sits up on a plateau nearly 200 metres north-west of the river, and is not basically visible from most directions until you are within less than 50 metres (Arthur, G. 2012). Reference: Heritage trees - Getting the measure of our forest icons. Arthur, G. 2012. Tree Matters, Edition 55, pp. 10-12. 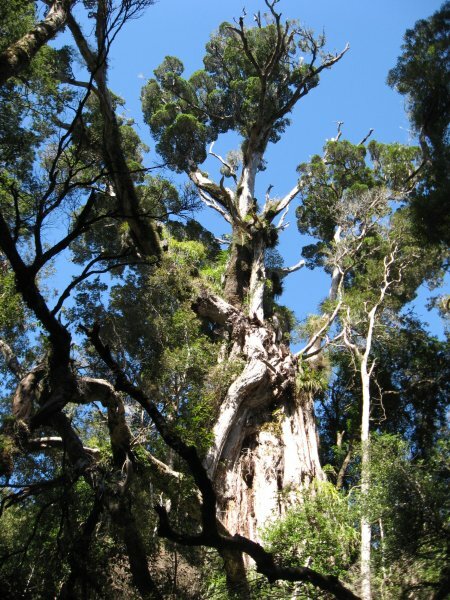 This tree is now currently the largest recorded northern rata in New Zealand along with the co-champion Whakatikei Rata WTR/1291. The Bushy Park tree at Wanganui (see record WGR/0371) is often incorrectly cited as the largest in New Zealand (NZNTT 2012). The height was determined from two abney level shots from different surveyed positions (fixed by compass, tape and abney traverse) in the general vicinity of the tree. Although declining, it appears to be in quite robust general health (2012). There are about four large foliage-bearing branches arising from a typical multitude of stems. 12 Oct 2008 Arthur, G.
It is approximately 1.2 km west of Mt. Barton in Akatarawa Forest . The NZ Topo50 map grid reference is BP32 754 547.